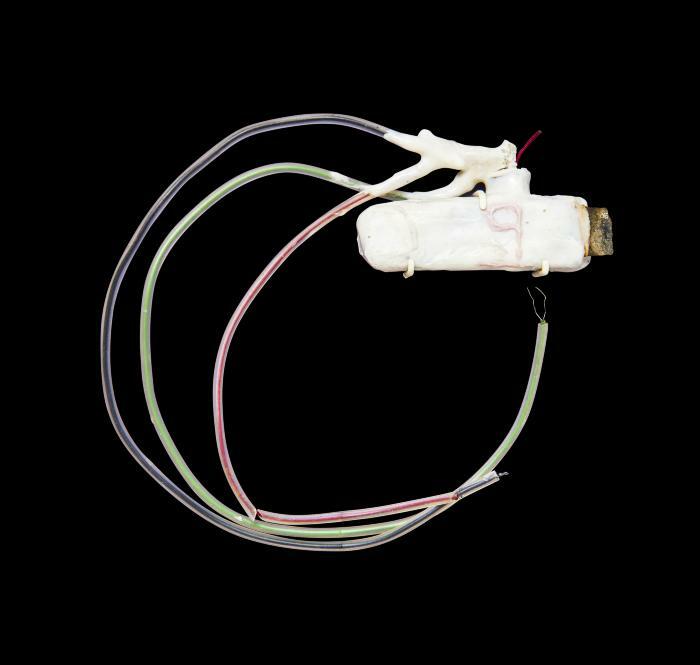 This biogalvanic pacemaker represents an interesting experiment in symbiotic medical technology design. Like all pacemakers, its main function was to keep the heart beating in rhythm. At the same time, it also relied on the body’s fluids to complete the battery circuit and keep the pacemaker in operation. The pacemaker thus served as both a provider/receiver of biological support during operation.